Nate’s love of music began at an early age, first playing piano and singing in the church choir and later on learning to play drums and bass. 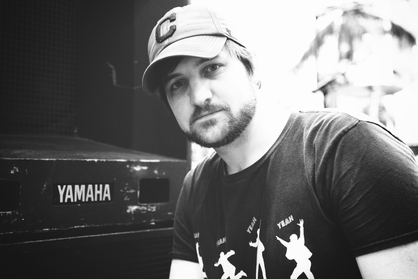 While performing with several rock groups in high school, he was introduced to the world of audio recording and mixing, which led him to pursue a Bachelor’s degree in Music Technology from Capital University. After graduating in 2013, Nate moved to Canton, OH where he works as a freelance audio engineer and video editor at Lockwood Studios in Canton, OH. Some of the performers Nate has worked with include Christian Howes, Chip Richter, Chris Bosca, Matthew Morgan and many, many more. He is also the lead sound engineer for the Lions Lincoln Theater in Massillon, OH. Nate was asked to join Hard Day's Night as a front of house engineer and production manager in the summer of 2014. His favorite part of working with the band is trying to recreate the iconic and (at the time) revolutionary sounds that the Beatles came up with in the studio.